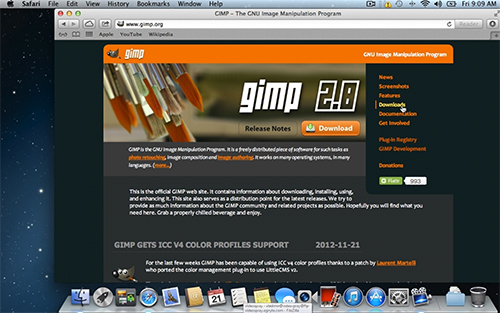 In this video tutorial we will show you how to download GIMP for Mac. 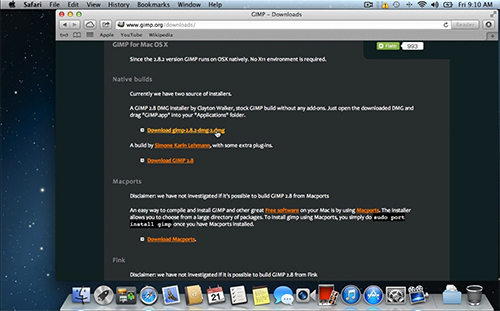 In order to download GIMP for Mac you have to open a Safari browser. 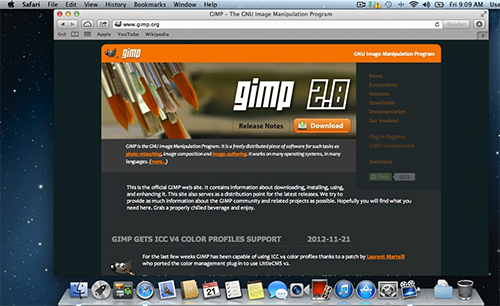 Enter “gimp.org” in the address bar. On the next page go to the main menu and click on the “Downloads” link. Go down on the next page and choose “Download gimp-2.8.2-dmg-2.dmg”. The download will start automatically. Click the “Downloads” button in the Safari toolbar to see the progress. Close the “Safari” browser after the download is complete. 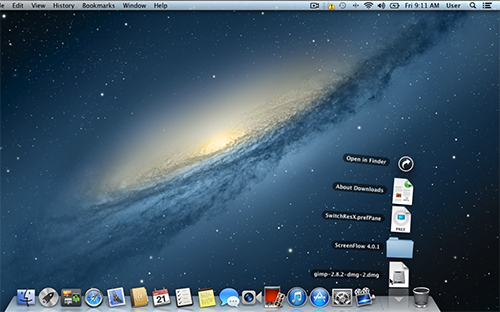 Click the “Downloads” icon in the Dock and open the downloaded file. 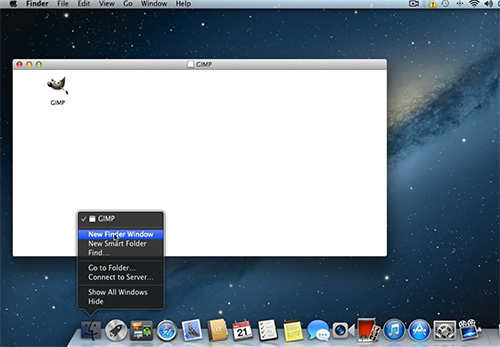 Right-click on the “Finder” icon in the Dock and open a “New Finder Window”. 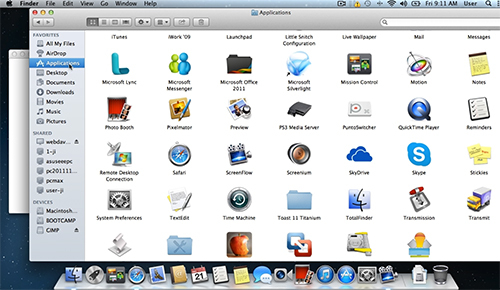 In the appeared window, go to the “Applications”. Now switch back to the window with GIMP application and drop the app into the “Applications” window by holding left mouse button. Close all windows. 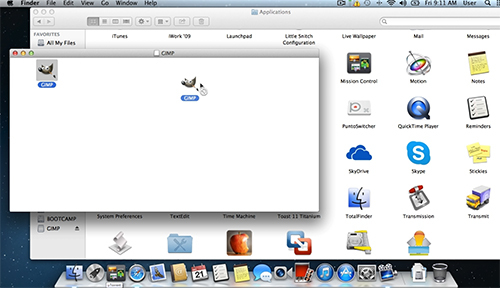 Click on the “Launchpad” icon in the Dock. Find the GIMP icon and launch it. The application has been successfully installed.